…..if it was possible to harness the energy that radiates in me when I see my kids being encouraging and kind to each other, I swear I could power the world for a year. 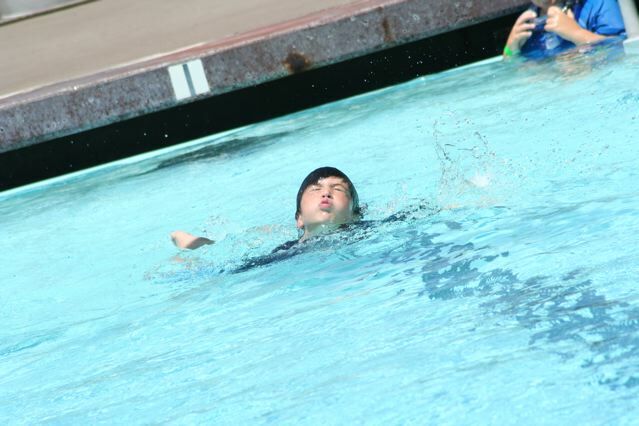 Joe was determined to swim twenty laps today. 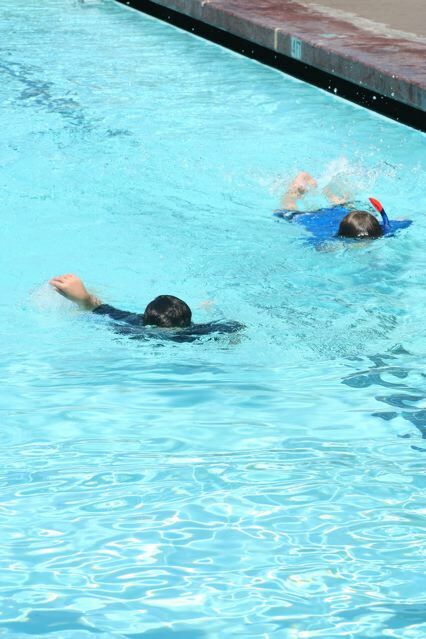 Nick had finished swimming his laps, when Joe was on his 14th…..Nick swam an extra 6 laps with Joe, to support him…to encourage him….to celebrate with him when he finished. I pretended I didn’t see it(it was their brother bonding moment), I had my nose in a book. Oh, but I was a-glowing!….and with a long lens i was able to snap a shot from far-far away. 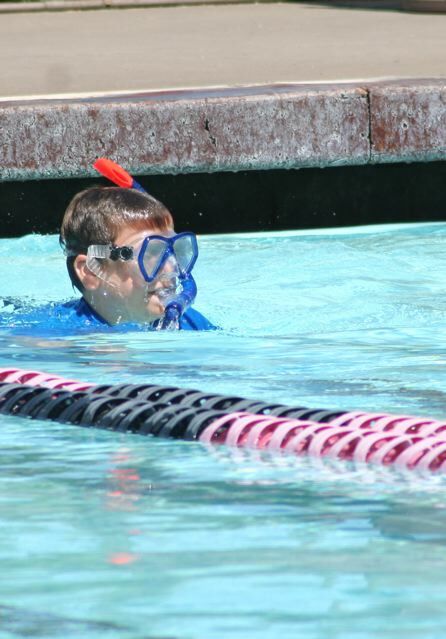 in unrelated news Nick decided snorkel wear was appropriate for thursday at the Y-on a side note men over 30 wearing speedo’s at the Y, for the love of G(rethink that) I saw more Junk that I care to write about, eek. and you might ask yourself what brought on this sudden motivation? Why, cold hard cash. I have been resistant to this tactic as I have always thought motivation should come from within….it has come to my realization I have boys who have not yet found their internal motivator….or the button is stuck…or they didn’t stand in the motivation line in heaven…whatever the case, cold hard cash is the king this summer(and it’s working).